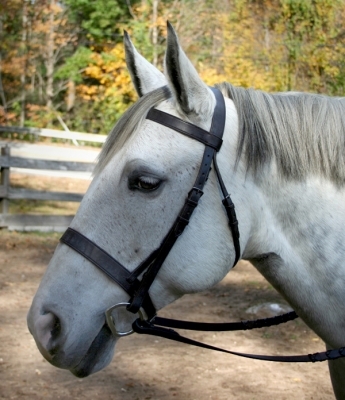 We offer a lot of different size bridles to fit your Friesian, Draft Cross, Small Draft and Large Draft. 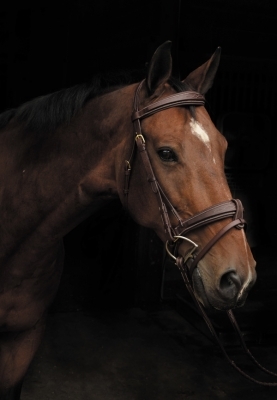 This havana leather bridle has decorative stitching on the browband and wide nose. Comes with Flexi brown rubber reins. Warmblood size Dimensions: Browband 16"
Maximum length Bit to Bit 50"
Padded, Fancy Stitched Bridle with Channel Crown and matching raised reins.